For straight units, the automatic floor bolt is self-activated by simply moving the panels on to one another. Once the first panel is positioned, the following panel activates the wheel and ramp assembly to automatically release the floor bolt effectively locking the panel into place without the need to lock it manually. No kneeling is required. 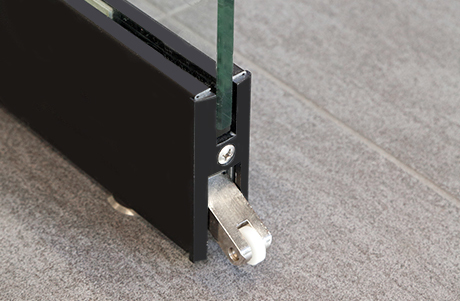 The concealed panel to panel interlock that is foot activated for straight units and for units with angle changes up to 12°. 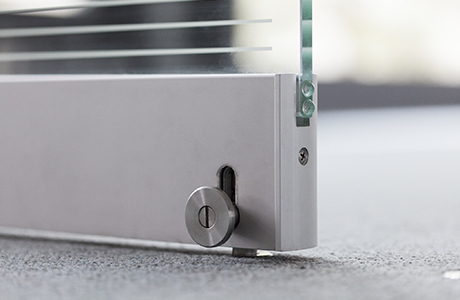 The panel to panel interlock provides additional security to the operator, assuring that the panels are locked firmly in place before they engage. For units requiring more than a 12° angle change, quick release floor bolts with spring loaded security feature are available. 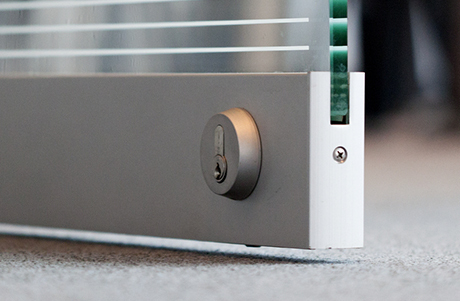 The security feature prevents access from the outside of the unit from attempts at prying the floor bolt mechanism. 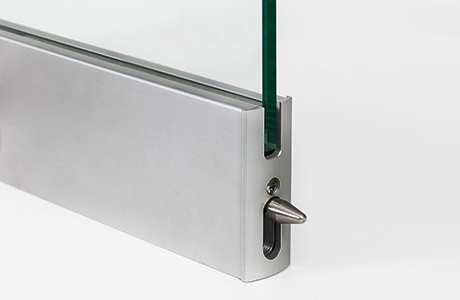 All single/double action sliding and end panels are equipped with a quick release floor bolt with spring loaded security feature at the pivot point in the lower rail and can be equipped with the same quick release floor bolt or a profile cylinder lock at the swing side. 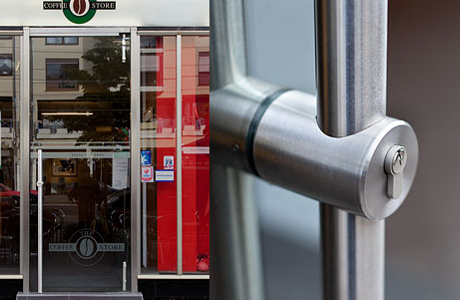 Tubo100 integrates a locking mechanism with a profile cylinder at hand height into the tubular designed handle eliminating the need to kneel to lock the door at the bottom rail.